They delete the tweet and the link was removed too. If there was a KOTOR3 it would be the most hyped i've been for a game in a LONG time, my favourite StarWars game and up there in my favourites of all time. 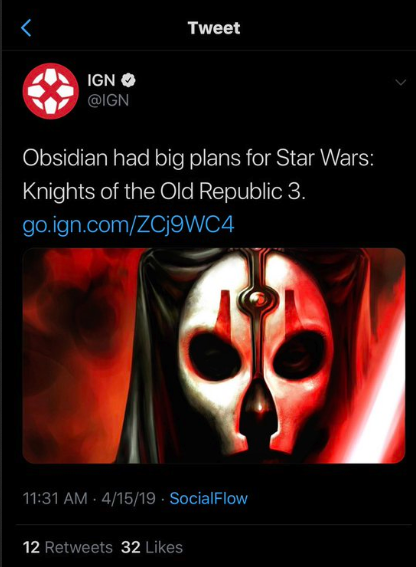 Agreed, I hope it's true, KOTOR is one of my favorite games of all time. Had big plans... but not big pocketbooks... now they have both! My god, the info just never ends and we're not even at E3 yet! Well, this is getting more interesting. Last edited by Blaze_ATX; 04-15-2019, 08:27 PM. I think the rumor it's true, fingers crossed. Last edited by Blaze_ATX; 04-15-2019, 07:03 PM. I love this time of year.....it's just like Xmas for the true gaming community......looking forward to the press conference of your choice......well unless your a Sony fan 🤣😂😆. Me too, bro, I can't wait and poor pony's. lolololololol!!! Last edited by Blaze_ATX; 04-16-2019, 12:02 AM. "looking forward to the press conference of your choice......well unless your a Sony fan"
They're looking forward to 2020, LOL! Inspired by Dutch posting the other day I thought I'd post just to say thanks to blaze and Scott. 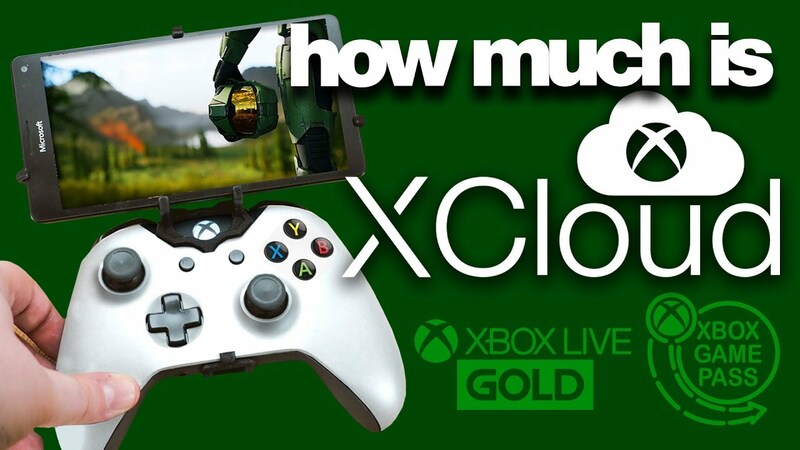 This is the place I head to to find xbox news you guys supply it. Good to hear from ya! Please though, post every now and then, it'd be nice to hear from all you "lurkers" still out there!!! Let's regrow the community with e3 approaching...will seem like old times. I will try not to get the Nintendo/Xbox hype train growing, because my guess is that is going to be mostly a one way street. Would be nice if the Switch actually had a functional online service, but as of yet it seems that is Nintendo online only. Shame. Also, I would love if old Nintendo games came to the Xbox, like how they have done with Neo Geo titles, but I don't think we will be that lucky. Also, that news of Phil playing Xbox via phone and controller is good stuff. I look forward to that when I can use this when traveling. won't have to lug around the console! Not directly related, but maybe a first glimps of next gen visuals? Done in 3 weeks by 3 artists?! Last edited by OrionWolf; 04-16-2019, 10:40 AM. Wow, some of these recent realtime demos are actually pushing movie quality visuals. Impressive stuff! Direct X-Static Can you imagine what a full blown studio with dozen or so environmental artists and months if not year of work can do?! Holy Jebus! Crackdown 3 is one addictive game, so much is good, I do not know who gave the green light to reporters to evaluate the game of this caliber, this is a game of not some trash that sells Sony for the hunches of time in different titles, each cast to the girls and boys who stand behind this Great Game, thanks to Microsoft for allowing players to play something like this. Microsoft, make this happen, I need this game. Last edited by Blaze_ATX; 04-16-2019, 11:23 AM.